It’s only befitting that Japan – a groundbreaking ’80s band who undeniably put a big emphasis on surface and style – should be rewarded with Anthony Reynolds’ glossy, beautifully-designed biography. But what of the book’s content? Though it will satisfy the most information-starved Japan fan, with detailed commentaries on the band’s music and relationships, it also works very nicely as a portrait of the wider late-’70s/early-’80s music scene: Giorgio Moroder, Ryuichi Sakamato, Simon Napier-Bell, Gary Numan and David Bowie make regular appearances. Though the band were, critically, a laughing stock up until the Quiet Life album in 1979, it’s often forgotten quite how out of place they always were in the UK pop firmament. From androgynous glam-rockers to glacial art-popsters, Japan resolutely stuck to their own guns and, by the time of their split in 1983, had become probably the most influential group of their era. Reynolds expertly builds up a lucid picture of South-East London in the 1970s with its racial/cultural/class divisions and dodgy schoolmasters. 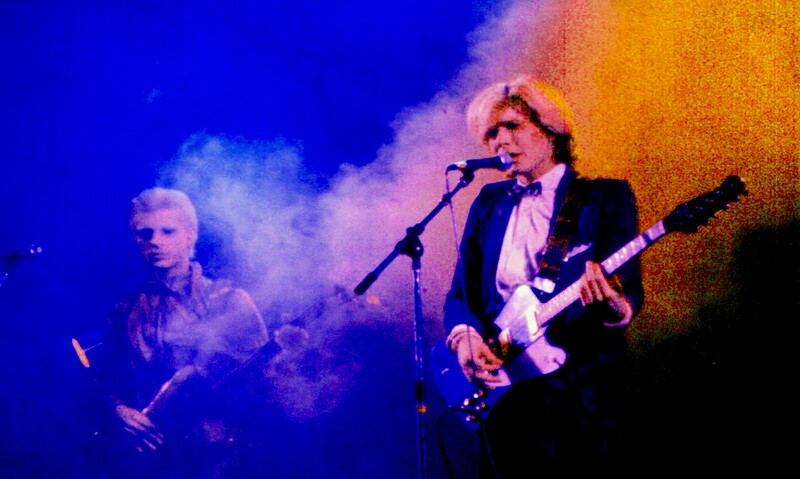 The brothers Batt (soon to be rechristened David Sylvian and Steve Jansen) hooked up with schoolmate Andonis Michaelides (soon to become Mick Karn) to jam and write songs. Reynolds reveals some of Japan’s more outré musical influences (Stanley Clarke, Chick Corea, Aynsley Dunbar) and also that their early material was full of Sylvian guitar solos. 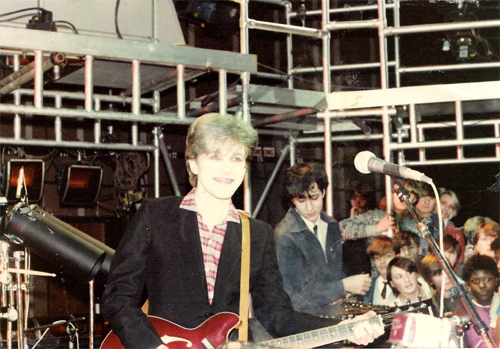 Jumping forward a bit, we get many gossipy revelations: Sylvian’s toe-curling audition for legendary manager Simon Napier-Bell, Gary Numan’s frequent stalking and also Japan’s early (and uniformly bad) experiences on the live scene of the late-’70s, supporting the likes of Blue Oyster Cult. Though the band were all resolutely straight, onstage they were subjected to constant homophobic comments and a barrage of missiles. Reynolds reveals that Black Sabbath guitarist Tony Iommi had a real thing for Sylvian, pestering Napier-Bell for an introduction, not realising Sylvian wasn’t a ‘chick’. But this surely wasn’t the first time Sylvian had been mistaken for Brigitte Bardot. Japan’s pop breakthrough is expertly handled, Reynolds spelling out in great musical detail how Sylvian’s emergence as a high-quality songwriter fused with Richard Barbieri’s canny synth programming and the stunning Karn/Jansen rhythm section to finally produce some music of worth. 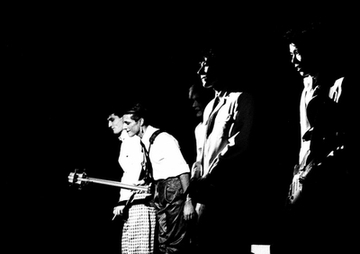 But success had come at a great cost; the band had completely grown apart, not helped by Karn’s girlfriend moving in with Sylvian on the eve of an important tour. This Kickstarter project has clearly been a labour of love but ‘Japan: A Foreign Place’ punches way above its weight with in-depth interviews, sumptuous design and anecdotes aplenty. Occasionally, the text has a repetitious, ‘cut and paste’ quality, but this is a minor quibble. It’s hard to imagine that anyone will ever write a better book about one of the key bands of the ’80s. Highly recommended. ‘Japan: A Quiet Place’ is published by Burning Shed. This entry was posted in Book Reviews, David Sylvian, Japan and tagged davidsylvian, garynuman, japan, mickkarn, richardbarbieri, ryuichi sakamoto, simonnapier-bell, stevejansen. Bookmark the permalink. Didn’t know about the kickstarter book, sounds like you got your money’s worth. I was recently listening to Gentlemen Take Polaroids album for my music project on 1980. Of the non-singles, “Taking Islands in Africa” was a nice discovery. Thanks Chris, glad you’re enjoying ‘Gentlemen’.